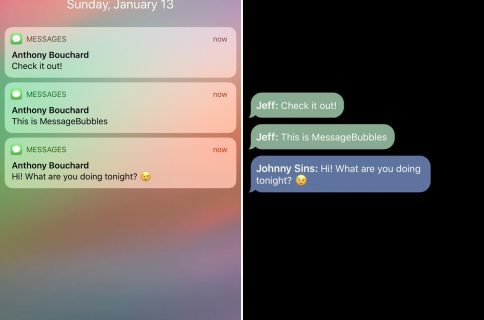 PushRecord is a brand new jailbreak tweak that allows you to record extended audio messages in the stock Messages app hands-free. 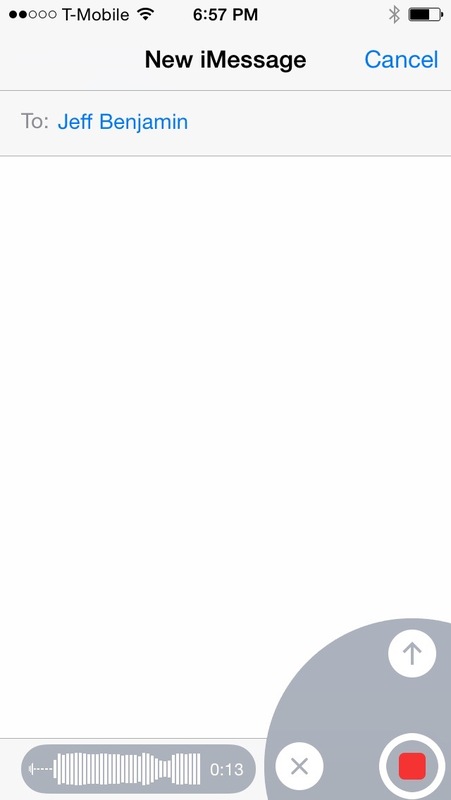 Normally, when you wish to send an audio message in the Messages app, you have to hold down the record button for the duration of the message. With PushRecord, all it takes is a single push to start the recording and keep it going. 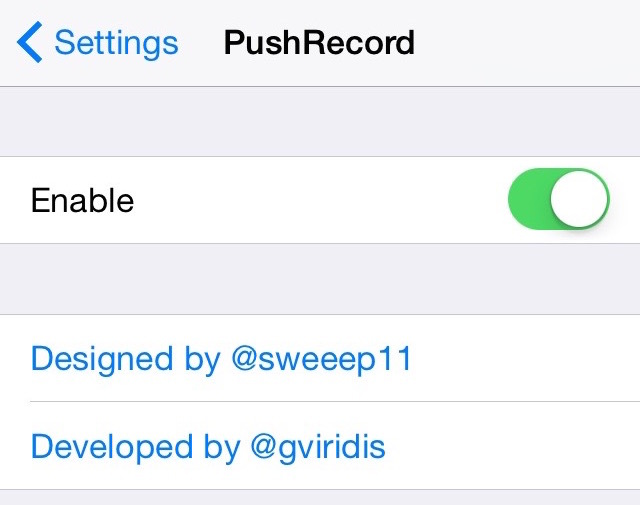 Once you install PushRecord, you’ll find a new preference panel in the Settings app. The tweak’s preferences contain a single toggle switch to enable or disable PushRecord functionality. To use PushRecord, simply open the stock Messages app, and press and hold briefly on the record button in the bottom right-hand corner of the interface and release. Once you do, a new audio recording will begin. 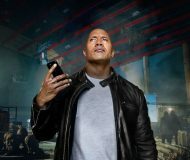 The audio recording will continue until you decide to tap the stop button, which is also in the bottom right-hand corner of the Messages app interface. 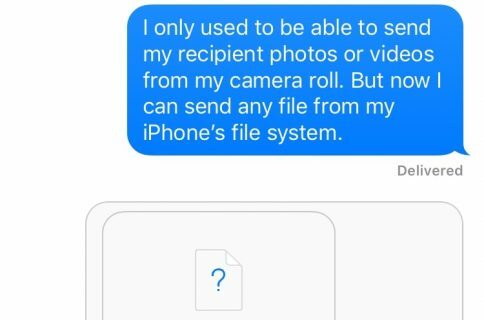 After stopping a recording, you can send it to your recipient by tapping the send button (up arrow), or cancel it by tapping the ‘x’ button. You can also play back your recorded messages before sending it by tapping on the Play button. PushRecord is an extremely simple tweak with dead simple mechanics. 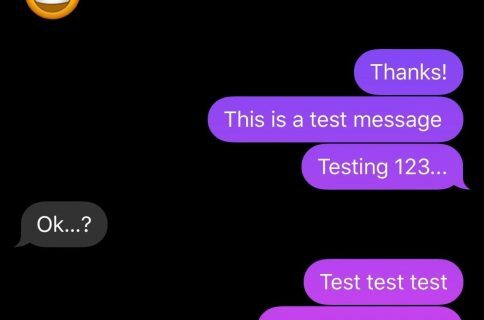 If you’ve used the audio message feature in the Messages app before, then nothing really changes for you. The only difference is that you no longer need to hold the record button for the duration of the message. You can find PushRecord free of charge on the BigBoss repo. If you’ve tried it, be sure to drop us your thoughts down below in the comments.